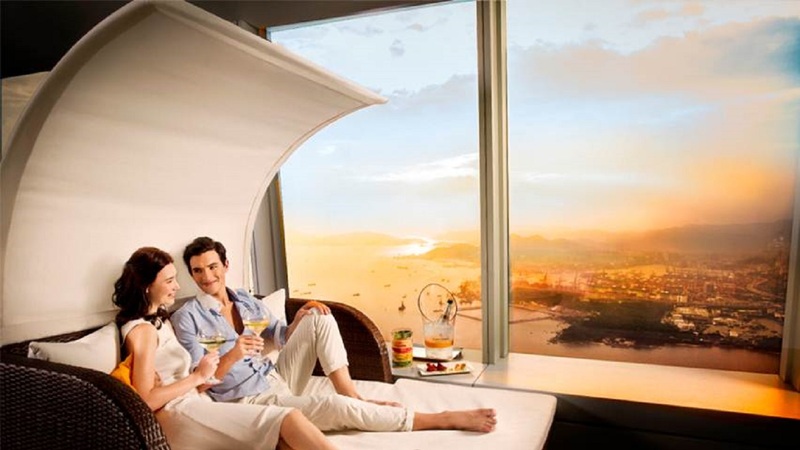 The Veuve Clicquot Sunset Lounge is the highest in the world and will be located in Hong Kong. 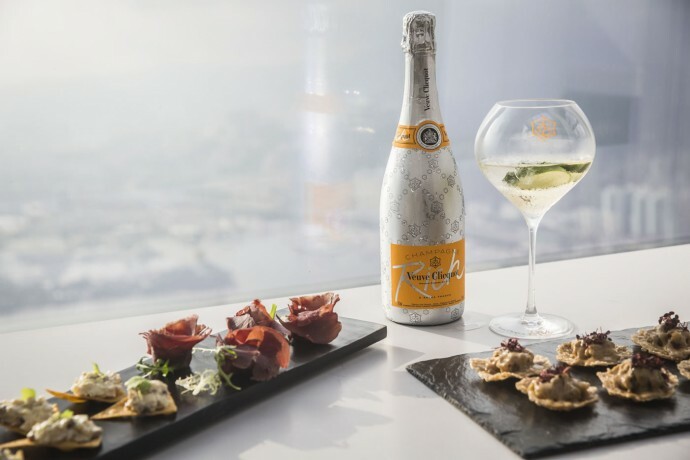 Prestigious champagne label, Veuve Clicquot, plans to open a lavish lounge 490 meters above Hong Kong at the Ritz Carlton, the planet’s tallest hotel. 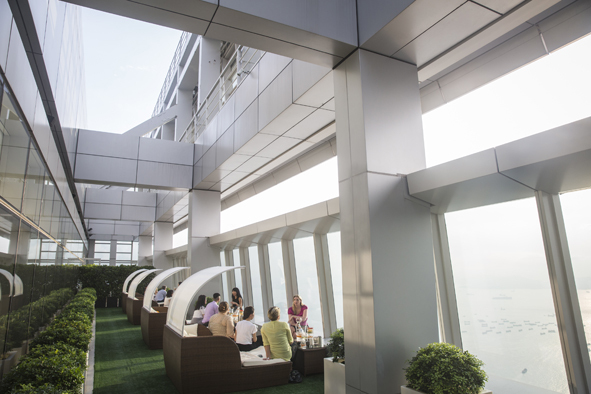 Located on the 118th floor rooftop, the Veuve Clicquot Sunset Lounge is the highest in the world. 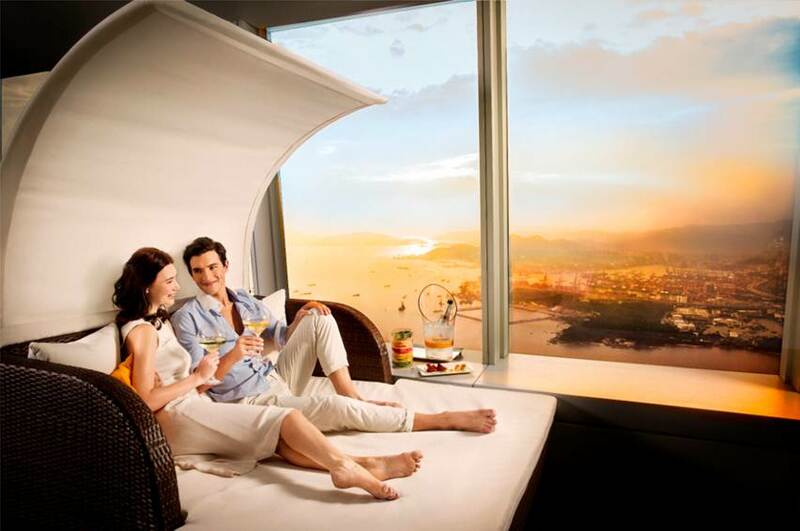 It will provide patrons with spectacular sunset views, private cabanas and open-air atmosphere. Private Cabana are priced at USD $212 and include a bottle of Veuve Clicquot Rich, a champagne that is intended to be used in mixology cocktails. Guests can select a Tapas Package for USD $68 to complement the champagne with choices of five tapas. Just like the Ritz Carlton, many hotel brands are utilizing the strength of partnerships for branded hospitality experiences. The London West Hollywood Hotel recently opened The Penthouse Inspired by Vivienne Westwood. Other items include tuna/salmon tartare, Oscietra caviar, and several other lovely bites.